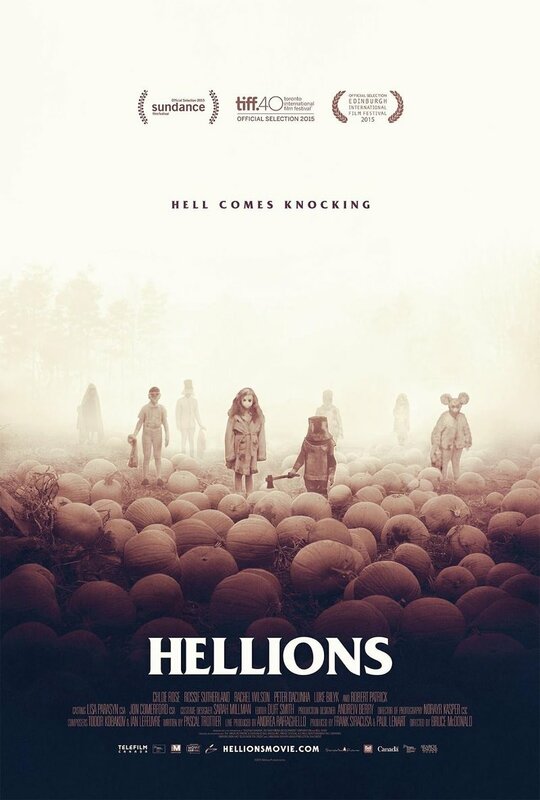 Hellions DVD and Blu-ray release date was set for February 2, 2016. Hellions tells the story of Dora, a teenager looking for a good time on Halloween night, who finds out that she is unexpectedly (and seemingly impossibly) pregnant. Stunned and shocked, she waits for her boyfriend at home as trick-or-treaters make their rounds - but the children coming to her door are more and more eerie as the night progresses. Eventually, she learns that the children are there for her unborn child - whose development in the womb is moving at unnatural and bizarre speeds - and Dora finds herself defending her baby and her home from these evil and menacing trick-or-treaters.